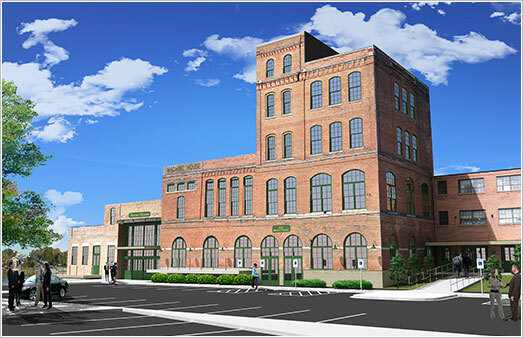 Rendering of the planned rehabilitation, Prairie (Peacock) Brewhouse, Rockford. Landmarks Illinois contracted Preservation Research Office to assist with the development of a series of eight workshops on historic tax credits across the state of Illinois. The workshops present the findings of the report, Economic Development Opportunities from an Illinois Historic Tax Credit, which PRO prepared for Landmarks Illinois in 2013. To continue educating communities about the need for a statewide historic tax credit program, and the benefits of the federal historic tax credit program, Landmarks Illinois is scheduling eight historic tax credit workshops throughout the state this summer. 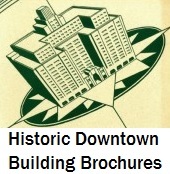 The workshops will highlight the findings of Landmarks Illinois’ state historic tax credit economic study, released in October 2013, which concluded that such a program would pay for itself and create needed jobs. The state’s existing River’s Edge Historic Tax Credit, available only in 5 cities and due to expire in January, 2017, is not sufficient for attracting investment and creating jobs statewide. The workshops will also highlight projects using the federal historic tax credit and the need to protect this critical program from tax reforms expected to be considered by Congress next year. Check back for more workshop dates and locations soon. The Historic Tax Credit Workshops are made possible through the generous support of the Richard H. Driehaus Charitable Lead Trust.